The Little Mermaid is probably my favourite Disney Princesses, her story is so romantic. I still have the book Undine by Friedrich de la Motte Fouqué, the original story this was based on, which is much sadder and without the happily ever after that is a standard with Disney but which is still a beautiful story regardless. 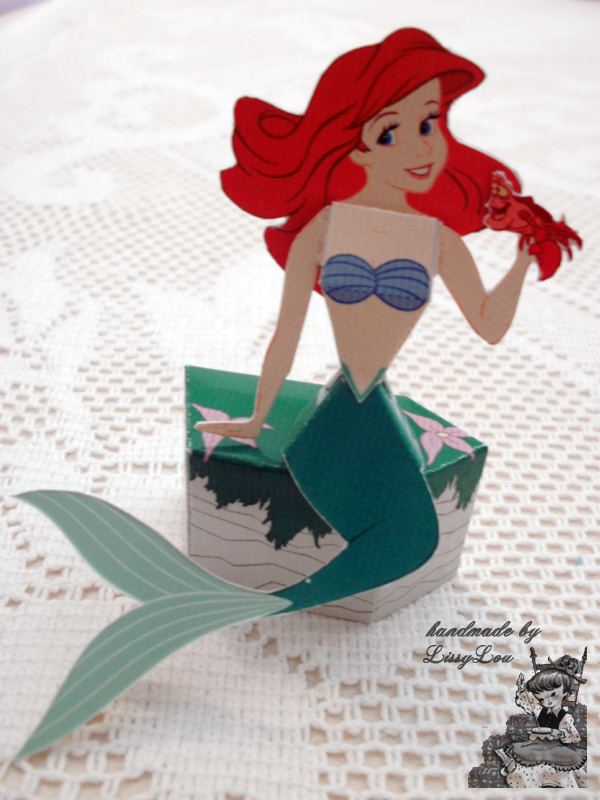 This Little Mermaid paper craft was a little fiddly but I think that was because I printed her out at about half the size as the original intended. I intend to make every princess to have a complete set, but in the meantime of you want to make an Ariel for yourself you can find all you need HERE at the Disney website FREE.